Blackmarket by PVI Collective @ PIAF. A one on one participatory performance presented on the streets of Subiaco, Western Australia. Yirra Yaakin Theatre Company. Lead facilitator for the company’s Culture 2.0 Respect Yourself, Respect Your Culture workshops on the metro and Kimberley tours. MonkeyFunk workshops: lead facilitator – creative movement for mums and bubs presented by Ausdance WA. Awesome Arts Creative Challenge Residency with Jodie Davidson, at Mowanjum Arts Centre, just outside Derby, Western Australia. Artscape at Gibraltar Point, Toronto, Canada. A reflective residency with attention given to the investigation of process. The outcome was a participatory event shared with other residents. Many thanks to Lisa Hirmer and Holly Timpener. Drinking Water: with Lisa Hirmer, a creative development for a new performance work. SFAI Residency: led by Lisa Hirmer, looking at the issues pertaining to global water resources. presented at the 2015 Perth International Arts Festival by Royal de Luxe. Yirra Yaakin Theatre Company South West Tour. Lead Facilitator for Culture 2.0 Respect Yourself, Respect Your Culture Workshops. Time_Place_Space: Nomads presented by Arts House (Melbourne) & Performance Space (Sydney). Midsummer Night’s Dream re-imagined by Dmitry Krymov, presented at the Perth International Arts Festival. Outreach Tour: Culture 2.0 to Pilbara and the Goldfields for Yirra Yaakin Theatre Company. With a Bullet: a curated season of short dance works where the choreographers are invited to re-imagine their first ever creation utilising the piece of music. I was cast in works by Jacob Lehrer, Sam Fox, and Rachel Arianne Ogle. Trois Generation: a dance work by Jean-Claude Gallotta, presented at the Perth International Arts Festival by Strut Dance. Dance Journalism: a performance presentation by Hydra Poesis at the National Refugee Rights Convergence. Prompter: a multi disciplinary work, presented by Hydra Poesis in Melbourne. My role was that of a real time online performer. January: – “Strutathon” produced by Strut Dance, as part of the 2012 Perth Fringe Festival. I presented a duo with Joshua Bott (dancer with Down Syndrome) entitled “Once Upon a Time with Gallotta”. 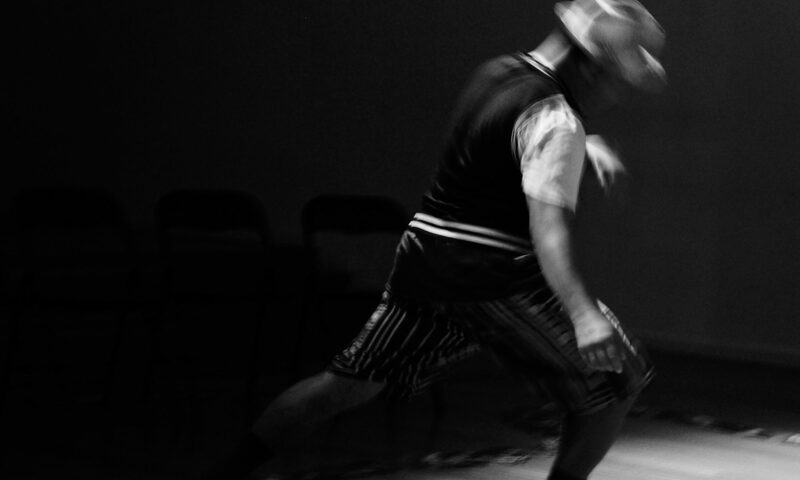 June/July: Regional dance project in Fitzroy Crossing, for Theatre Kimberley. August: “Harakiri” by Didier Theron at The State Theatre, for dance festival leading up to the 2012 Australian Dance Awards. September: “Gallery Moves” by Sandi Woo, Nicole Barnes & Claudia Alessi. I was creative consultant on this project which programmed in the 2012 Shinju Matsuri Arts Festival. AIR Residency: Gondwanaland Project, produced by Southern Edge Arts, residency in the South West towns of Denmark, Albany, Cranbrook, and Mt. Barker. Creative team included Leon Ewing, Peter Keelan, Cecile Williams, and yours truly. AIR Residency based at Karratha Senior High School in Karratha Western Australia, with Rachel Arianne Ogle. Joshua Bott – ATE. A young man of 24 years with Down Syndrome, being mentored by artists, including myself, culminating in a performance / exhibition. Regional: – Punmu – remote indigenous dry community – was great to be back there! Urban: – Mirrabooka SHS – working with a group of kids from newly arrived families! Participating in Garry Stewart’s dance video – Collision Course. Participation in choreographic lab week mentored by Joao Fiafeiro & Marcus Canning. An annual Strut Dance program where the collaborative teams consist of choreographer, dancer, & designer. A very informative process. Very cool! MAN-DU-RAH! was a hectic time had by all involved but was very successful. I was there in the capacity of facilitator – presenting Aikido Dance workshops – and choreographer – presenting 2 works by our GETdownERS group (dancers with down syndrome).Highlights : the representation the exposure and acceptance of other groups such as the indigenous dancers from the Pilbara, the indigenous dancers from New Caledonia, and the local dancers with disabilities. I was a late inclusion to the project. I was engaged to work with students from two primary schools to create two dances for performance in the main event, TranscenDANCE, at the 2009 Festival of the Wind. Presented by Strut Dance, Didier Theron’s was re-staged upon Perth’s finest dancers.